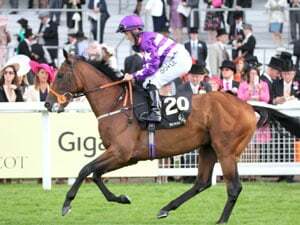 Private Secretary finds herself in a very winnable race when she lines up in the Colin McAlpine Memorial Classic (1200m) at Eagle Farm on Saturday. Having run well in both outings last campaign in Group company, Private Secretary returned in good order when third in the Sensis Stakes at Flemington last start behind Sheidel and that form reads well for this. 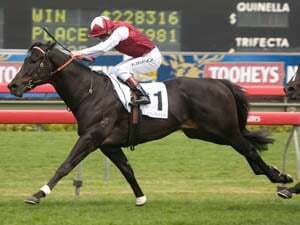 Only narrowly beaten by Runaway Star in Group 3 company at Morphettville before a spell, the seven-year-old mare comes into this with the best form and Michael Cahill takes the ride for the first time. Likely to find herself back in the field again today from the wide draw but there is a lot to like about her first up effort and with a terrific second up record looks very hard to beat against these. Later in the programme Hopfgarten will get his chance when dropping back in grade to tackle the Sky Racing Tatt’s Recognition Stakes (1400m). Coming off three very competitive runs this campaign, Hopfgarten battled on well to finish sixth in the Group 1 Cantala Stakes last start behind Le Romain and he looks much better suited back to the 1400m trip today. 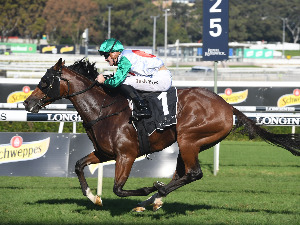 The Robert Heathcote-trained runner tends to go well here at his home course and likely to settle back in the field will be hitting the line strongly and is currently at solid each way odds of $5.80. Race Synopsis: Lightly raced five-year old mare Elegant Composure took her record to seven wins from nine starts with a good first up win in this Listed race, her first success at stakes level. She settled well in fourth place from her good barrier (3), got a split at the home turn, raced clear at the 200m and then held on to win in good style. The favourite Private Secretary put up a very smart effort. She was eased from her outside barrier (14) and remained in last place in the 14-horse field to the home turn. She commenced a wide move at the 300m and then came with a strong finish for a very good second, her difficult barrier proving costly. Beatniks settled in tenth place, on the rails, got between runners at the 300m and then ran on nicely for a good third.